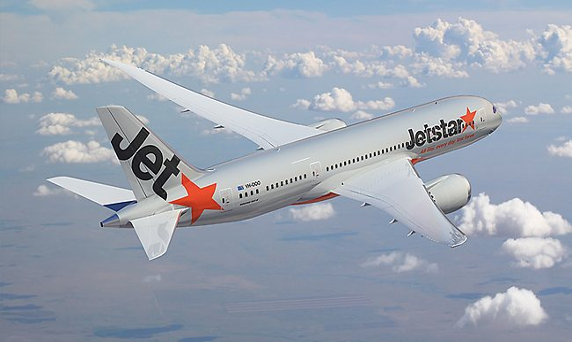 Jetstar has been branded the worst airline in the world, after receiving one star out of five for overall customer satisfaction. Some 37.2 per cent of Jetstar passengers complained about delays to their flights – with the average wait time being four hours after the scheduled departure time. The international survey, organised by the watchdog Choice and 10 other consumer groups, had 11,273 respondents, who ranked the Australian airline 73rd for overall satisfaction. Customers from Australia, Belgium, Brazil, Denmark, France, Italy, Portugal and Spain were surveyed and asked to score airlines on punctuality, check in, boarding, treatment by staff, comfort, meals, safety and value for money. Jetstar’s primary rival, Tigerair, was not included in the survey, as there were not enough responses from customers. This was questioned by Jetstar’s spokesperson, who told the Daily Mail Australia: “Choice seem to enjoy criticising airlines without understanding the safety standards we operate to or recognising the role of low cost carriers in making travel more affordable for millions of Australians. “There are a lot of holes in this latest Choice survey, including leaving out our main competitor Tiger because they didn't collect enough responses, so the veracity of the report is questionable. “We know how important it is to get customers to their destination on time, and we recognise there is room for improvement and our team is doing a lot of work behind the scenes. Emirates was revealed as the best airline in the world from the survey, with a satisfaction rating of 8.29 out of 10, swiftly followed by Avianca, Qatar Airlines, Luxair and Singapore Airlines.